Thanks for the clarification ckirwan. I have read the posts and checked out wolfpacks site. Sadly they don't have an online store and the on they listed doesn't list the serpent adaptors. Does anyone know of somewhere in the US where theese adaptors are available? Thanks again. yes you must order direct from wolfgang he has both kinds of adaptors mugens are better. he is at e-mail(no phone calls) wolfpr@aol.com he is a real good guy. 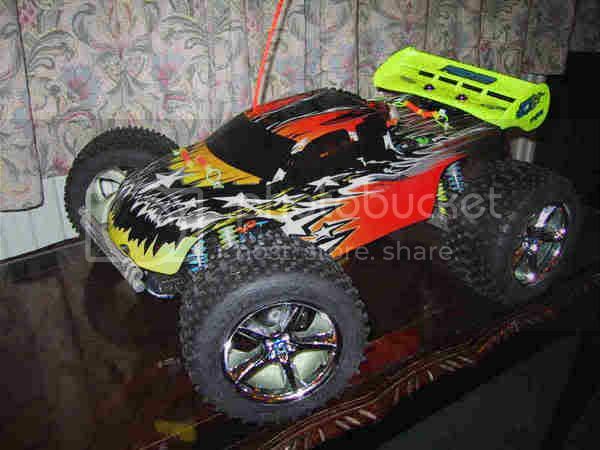 he is a machinest who is a rc car racer and makes parts out of enjoyment and he is not a business. i got mine by sending an e-mail he promptley returned my e-mail told me how to pay with paypal and i had my adaptors in three days. 0n line is the only way you can get his stuff but by e-mail. i know several people who have done business with him and he is stright up. Soundcheck109.......... ckirwan514 is right just send wolfpack an e-mail , he will take care of you !! The parts you are looking for should be listed under Shumacher adapters, on the website. Sweet guys, thanks for the help. One more thing though just to make sure. I alreay have the CRC foams (235 rears) and I'm running a Fusion 21. This means I need the Serpent adaptors, correct? Yes, but you are going to have to modify the adapters so they will fit into the tires because they were made for 1/8 scale rims . The opening where the adapter fits into the 1/8 scale rims does not match up on the 235mm rims, the opening is just too small. I also had to file down the arms on the adapters a little so they would fit and I had to enlarge the circular opening in the rim so the adapter would fit thru. Zilla Power..... That looks like the new f650 shell ???? It is , it was the only shell big enough to cover the Truckzilla chassis. Wouldent mind having a look under the shell one day nitro looks good in there. Hi, Blade and Sirus! I took out the .46 engine because I cracked a crankshaft and put my Novarossi .28 in and believe it or not it is faster with the .28 and handles better too. X-treme rc dynoed the Cen.46 motor @ 1.5 hp this motor is the same as the hotbodies .46 except it is rear exhaust so I figure they both put out about the same amount of hp. The problem with both of these engines is they generate all their horsepower on the bottom end they fall flat on the top end. And there is no optional gearing that allows you to take advantage of all that torque. Sooooo I figured what the heck while the .46 is down lets test out the .28 . When I did a speed run with the .28 it was consistanly 3-4 mph faster!! This motor turns quite a few more rpms than the .46 which equals more topend speed. No wheelies just linear acceleration. y33trek, nice paint job on your truck!!!! Your truck looks like a truggy is it? And what brand is it? y33trek did you do the shell your self....if so nice work.. I agree with you Blade it should make a good all around motor. Since it is an 8-port it has good bottom end , mid-range and top-end. Perfect for a Schumacher fusion , it should be able to pull thru those extra tall gears without any problem.